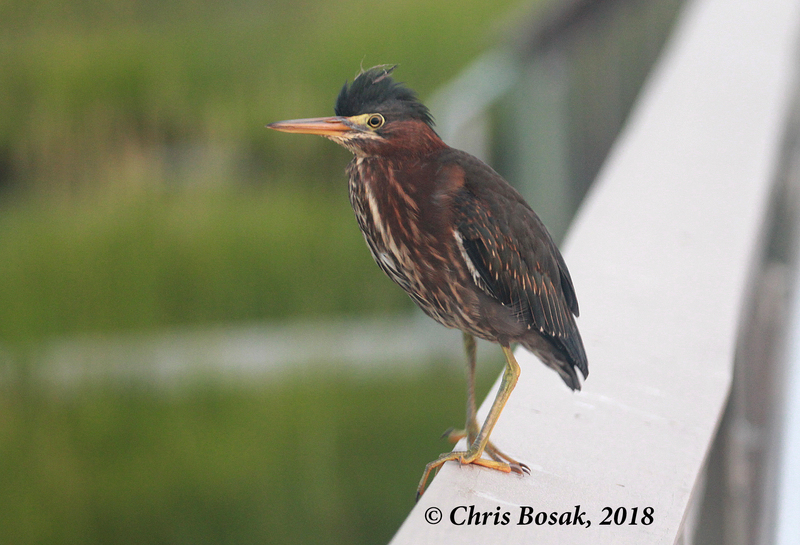 This entry was posted in Waders and tagged birds at Assateague Island, Green Hereon, green heron on railing by Chris Bosak. Bookmark the permalink. 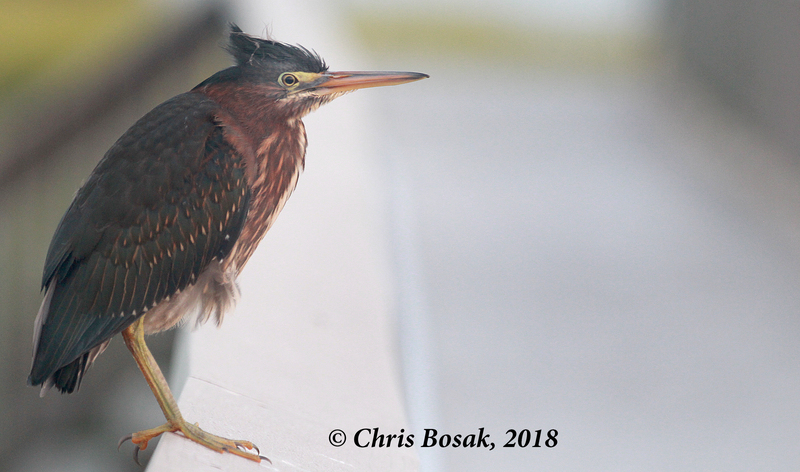 Maybe a young heron, interested in you or your camera, or you smell like breakfast? Lucky you!